ONLINE STORE // BLACK FRIDAY SALE! 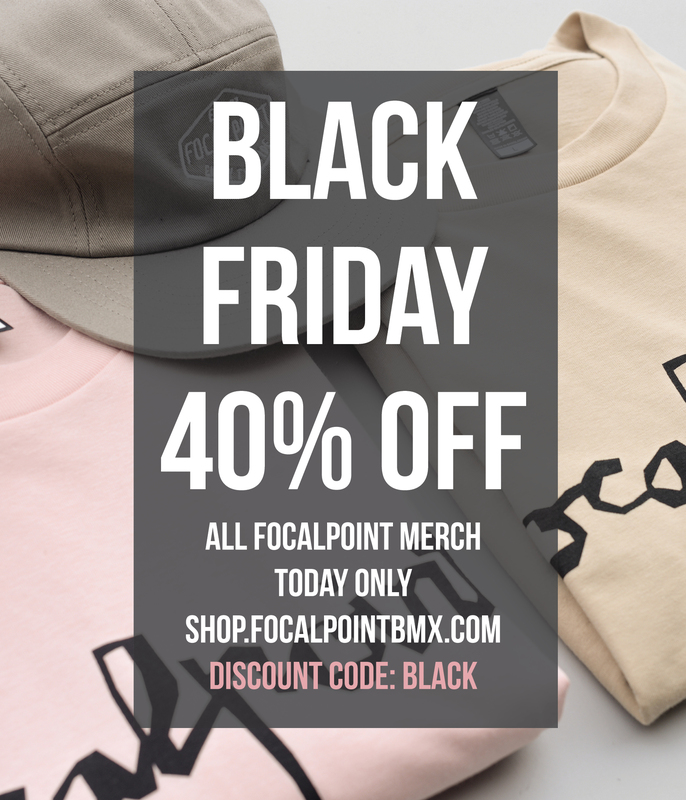 Today only we’re doing 40% off all FP merch within the online store! Hit this link to grab some deals! Discount code: BLACK . This entry was posted in BMX and tagged black friday, bmx, focalpoint bmx. Bookmark the permalink.